SMBs that embrace Cloud computing and business websites are much more likely to enjoy rising revenue than others, according to accounting software provider, MYOB. The company’s March 2013 MYOB Business Monitor study, which was conducted by research firm Colmar Brunton and surveyed more than 1000 SMBs, found that the businesses that adopted Cloud technologies were twice as likely to see an earnings uplift in the past year. However, only 16 per cent indicated to use Cloud computing and 38 per cent said to have a business website. MYOB CEO, Tim Reed, said the research findings provide a clear cut case for embracing online technologies in business. “It’s obvious that as time goes on, Australian business operators using Cloud computing are increasingly likely to achieve positive financial results. This ubiquitous technology has helped so many smaller businesses become better connected, more productive and more competitive,” he said. Another key finding of the study is the widening gap in financial performance between the online-savvy and the online-cautious. Business operators in the Cloud were not only more likely to see a revenue rise in the past year (33 per cent versus 16 per cent of those who weren’t) they were more likely to expect one in the next year (37 per cent as compared to 28 per cent). Similarly, those with a business website were not only more likely to see a revenue rise in the past year (24 per cent versus 15 per cent), but also more likely to expect revenue growth in the next year (35 per cent versus 27 per cent). “Interestingly, more than half our respondents said they would vote for the political party that proposed ‘free government-funded training on how to use the Internet to enhance their business.’ This says the majority realise they require further education on how to best employ online technology,” Reed said. The most popular reason for Cloud use was the ability to access data from whatever location they wanted (52 per cent). The top use for Cloud computing was file sharing (50 per cent) and file back-up (49 per cent). 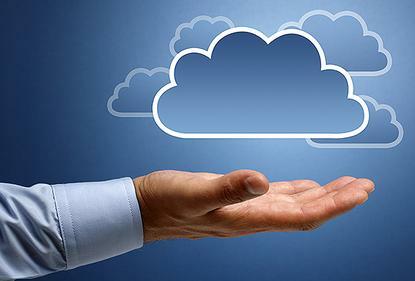 35 per cent of respondents said they didn’t know enough about Cloud computing to implement it. Among the SMBs that didn’t have a website, 68 per cent said they did not set one as they prefer to advertise and market their business using other methods. Businesses exporting goods and services were the most likely to use Cloud computing and business websites. South Australia had the highest proportion of Cloud users (22 per cent) and business website owners (42 per cent).